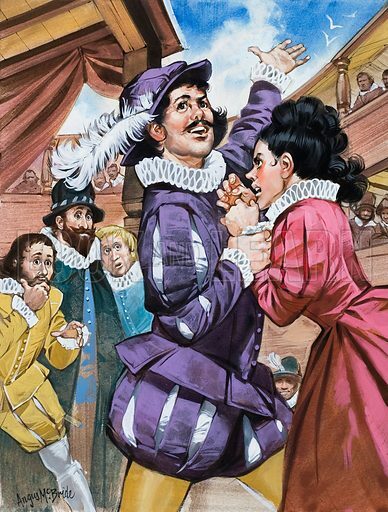 Shakespeare's "The Taming of the Shrew" is a wonderfully colourful play in which Petruchio, a gentleman of Verona, marries the notorious, fiery-tempered Katherina, and finally 'tames' her. Original artwork for illustration on p25 of Look and Learn issue no. 610 (22 September 1973). Available worldwide for immediate download up to 3,481 x 4,597 pixels.